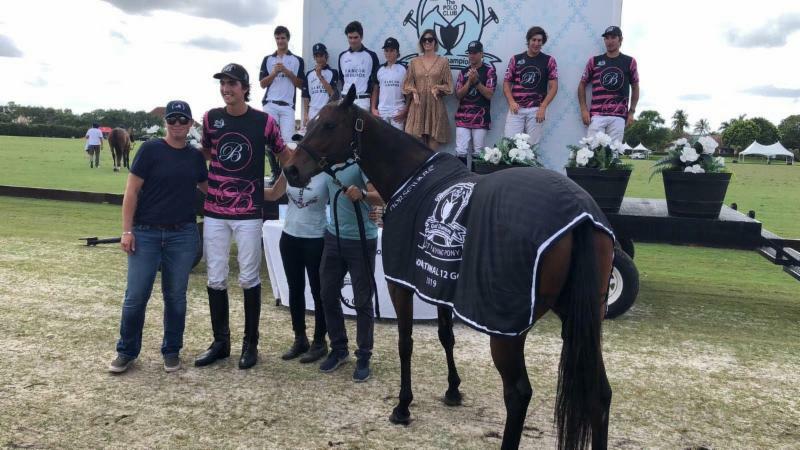 La Dolfina became the youngest team in tournament history to capture the sixth annual $50,000 National 12-Goal Tournament Saturday at Grand Champions Polo Club. 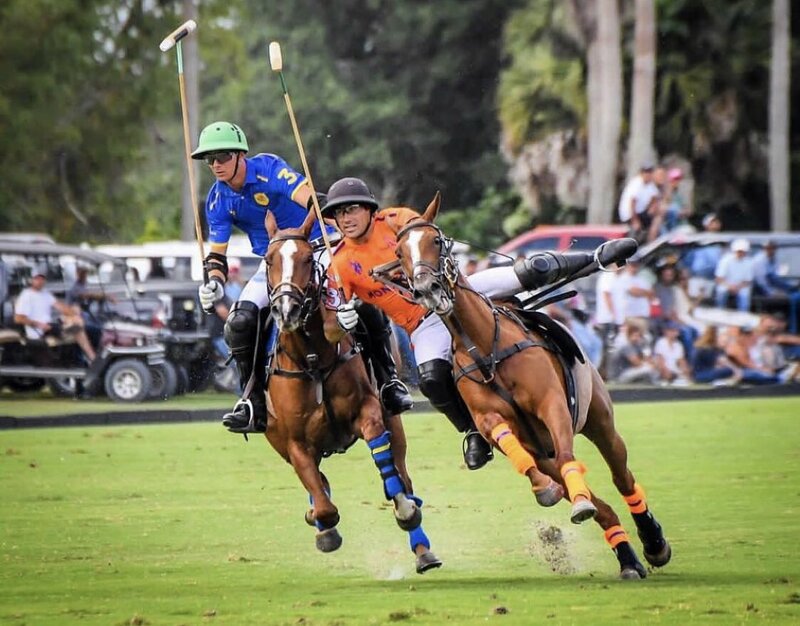 Santos Merlos of La Dolfina zeroes in on the ball with Beverly Equestrian defenders Tolito Ocampo and Bill Ballhaus bearing down. 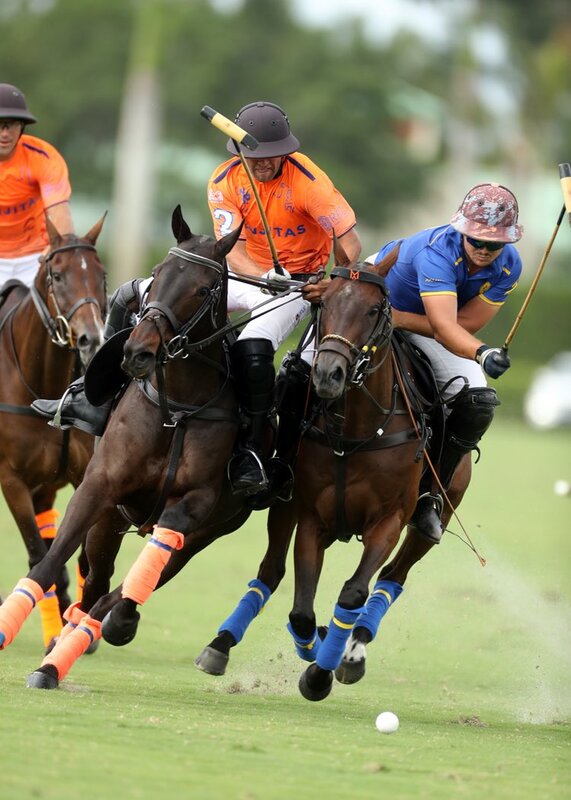 Santos Merlos of La Dolfina takes off after the ball with Bill Ballhaus of Beverly Equestrian defending. 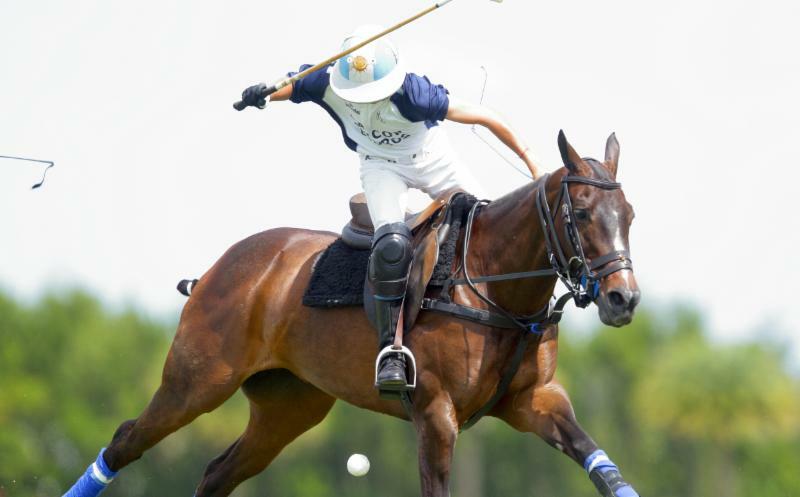 Poroto Cambiso of La Dolfina out of the saddle waiting on the ball. 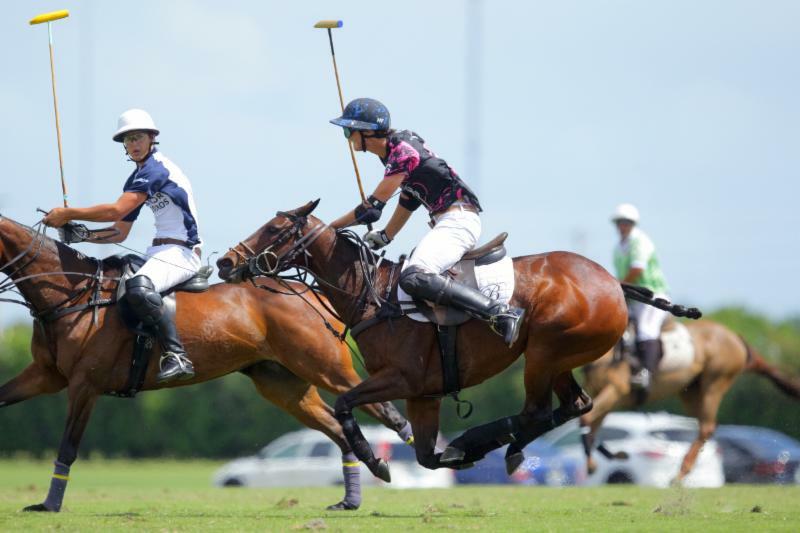 MVP Juan Martin Zubia of La Dolfina goes for the neck shot down field with Tolito Ocampo defending. 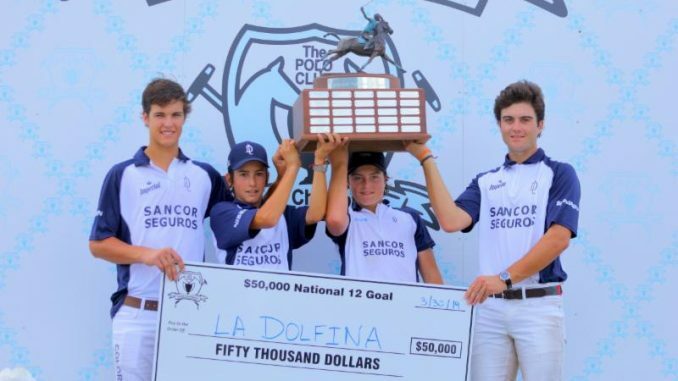 La Dolfina finished undefeated at 3-0 in the nation’s only 12-goal tournament that offers major prize money in the single-elimination, winner-take-all competition. 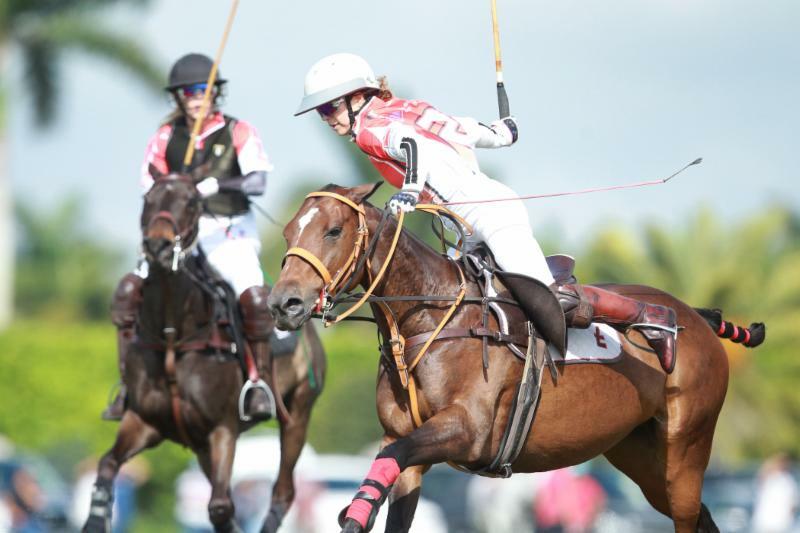 La Dolfina defeated WPL, 15-6, in the quarterfinals and Team USPA, 11-6, in the semifinals. Beverly Equestrian finished 2-1. 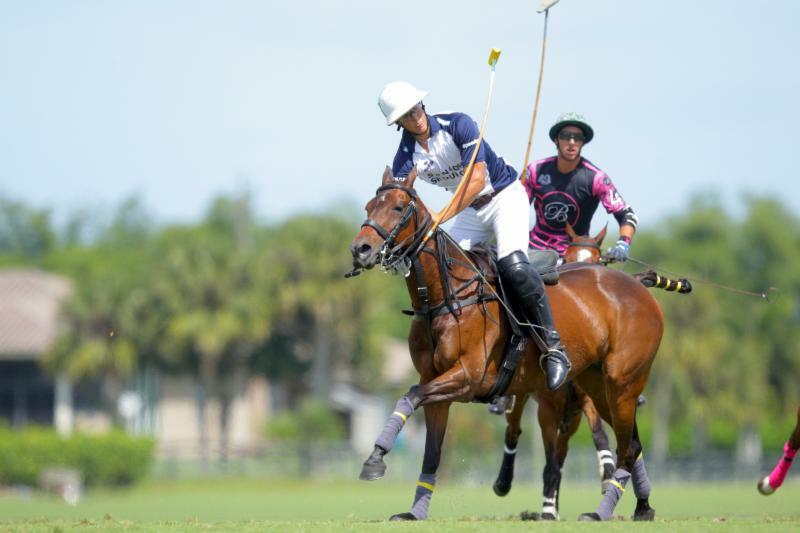 Segundo Merlos of La Dolfina goes for the near side back shot with Tolito Ocampo of Beverly Equestrian on his hip. 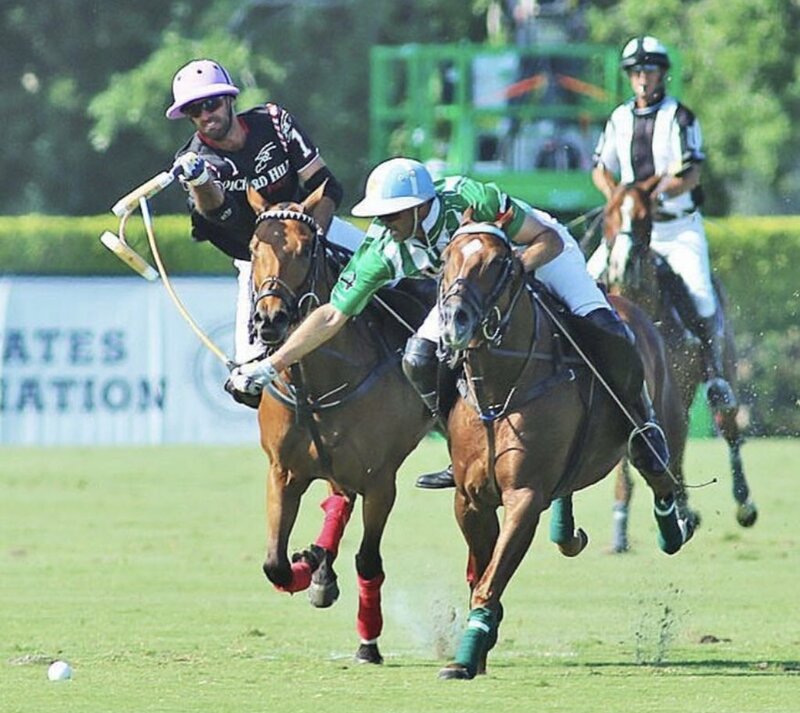 Hilario Figueras of Beverly Equestrian chases down Juan Martin Zubia of La Dolfina. 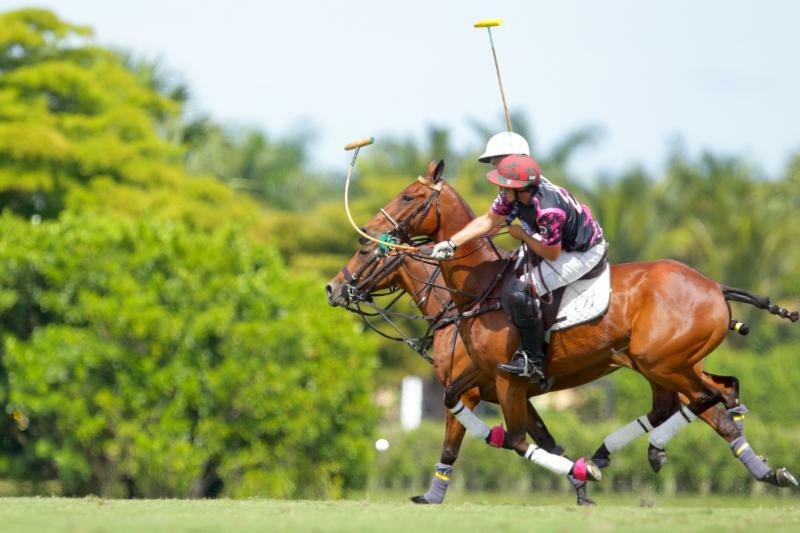 Geronimo Obregon of Beverly Equestrian tries to hook Juan Martin Zubia of La Dolfina. 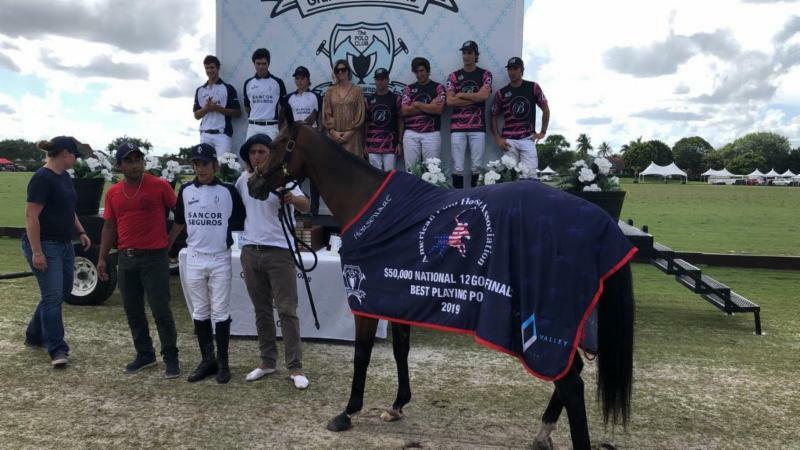 Grand Champions BPP Norma Jean played by Hilario Figueras. 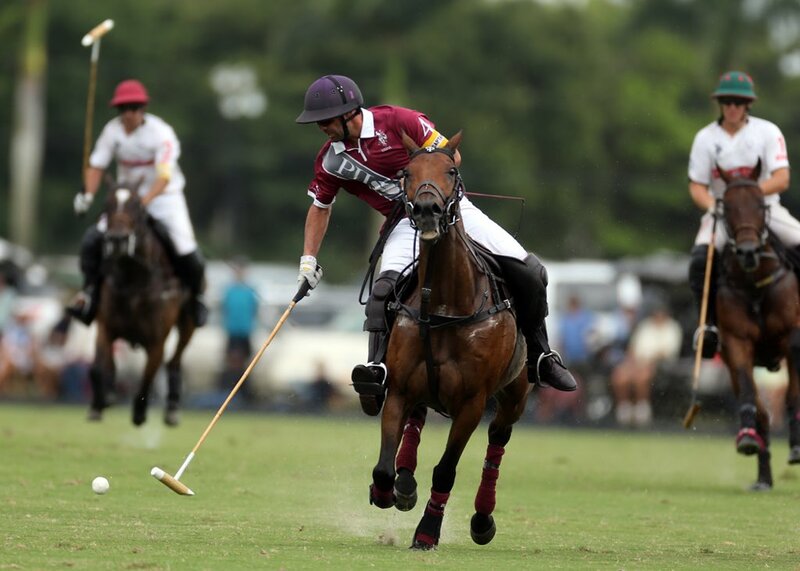 American Polo Horse Association BPP Dolfina Lufthansa played by Poroto Cambiaso. 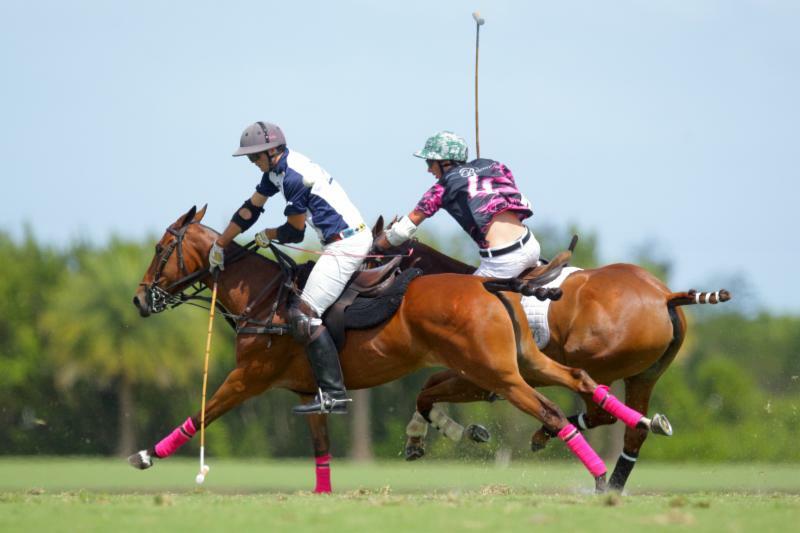 During the winter polo season, Grand Champions, the nation’s largest and most innovative USPA-sanctioned polo club, is hosting 24 tournaments: 6, 8, 12, 20, and 0 to 40 goals, WCT Finals and women’s weekly league play and 26-goal World Polo League tournaments at both Grand Champions, Valiente Polo Farm and several other fields in the area. 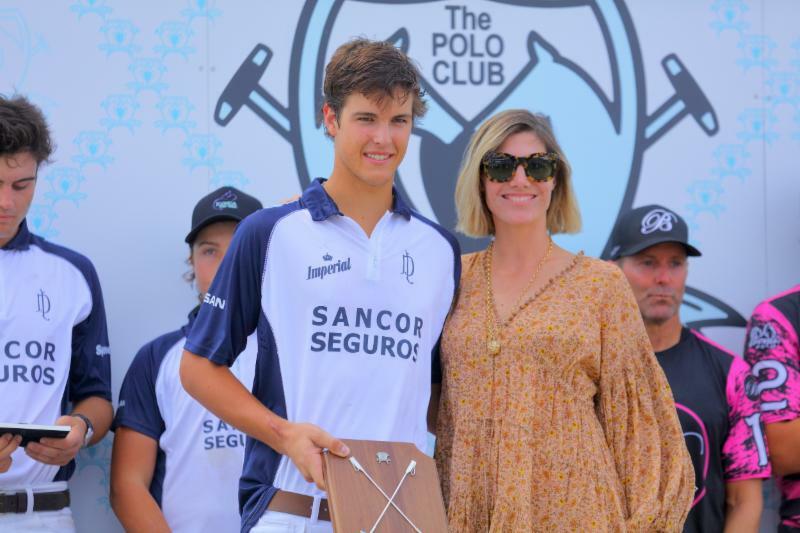 Most Valuable Player Juan Martin Zubia of La Dolfina with awards presenter Delfina Blaquier. 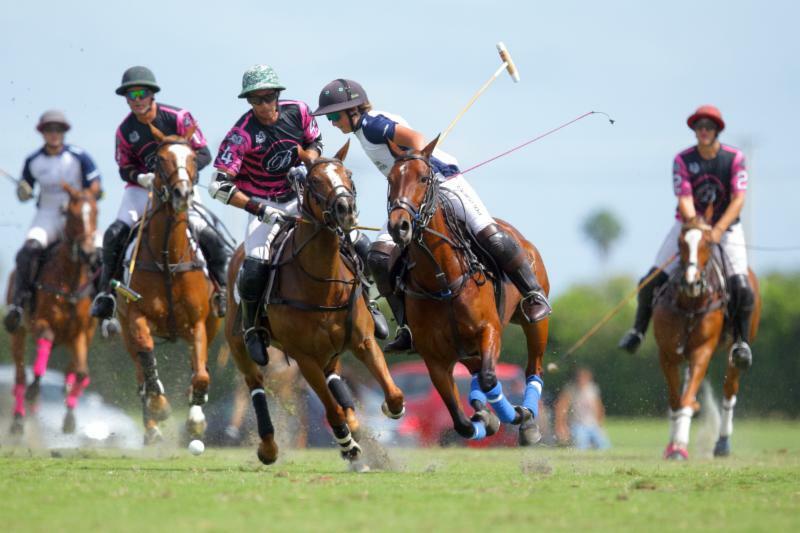 La Dolfina teammates Poroto Cambiaso and Juan Martin Zubia work together while Geronimo Obregon of Beverly Equestrian goes for the hook. 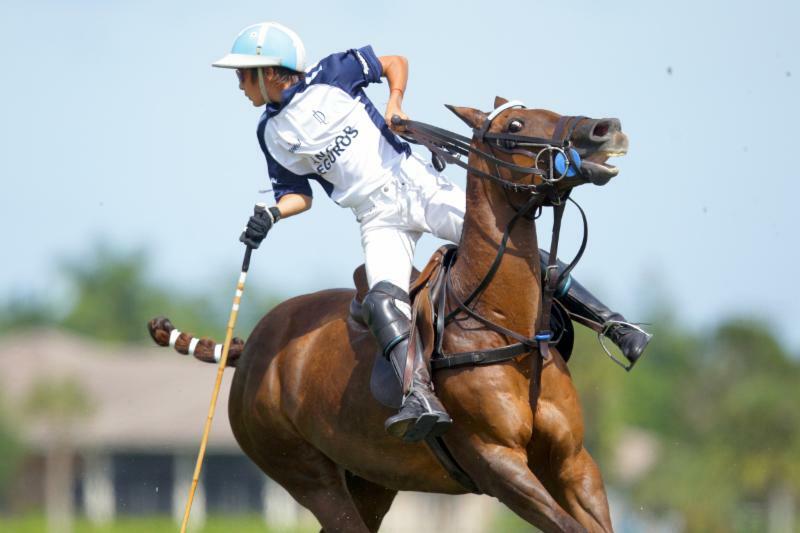 Geronimo Obregon of Beverly Equestrian hits the reverse neck shot. Like father, like son. 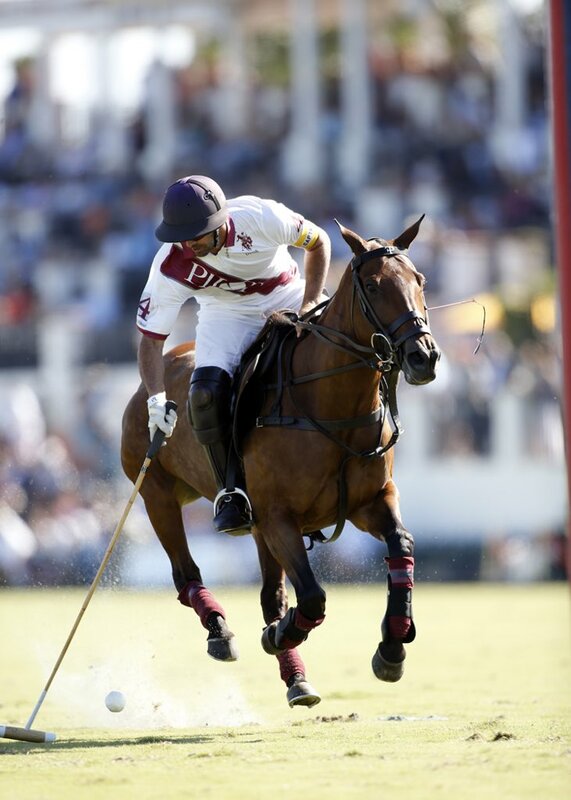 Poroto Cambiaso of La Dolfina works the ball out of the air for the big hit downfield. 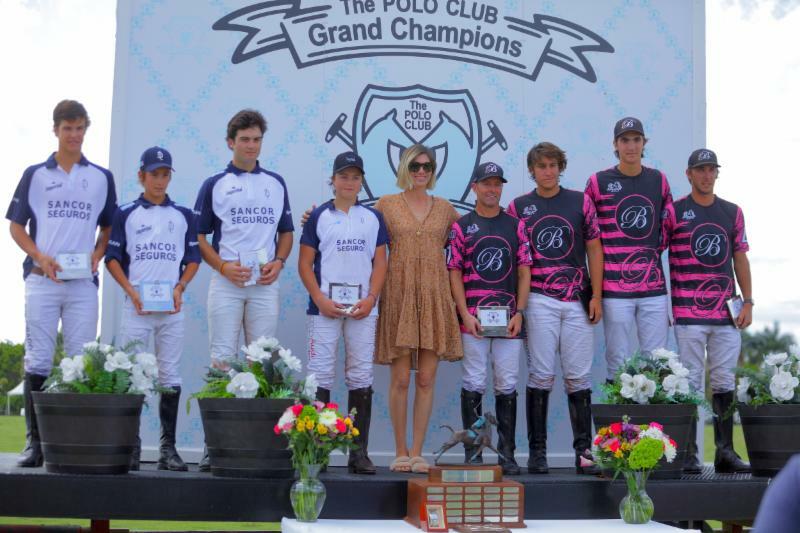 Finalists La Dolfina and Beverly Equestrian with awards presenter Delfina Blaquier. 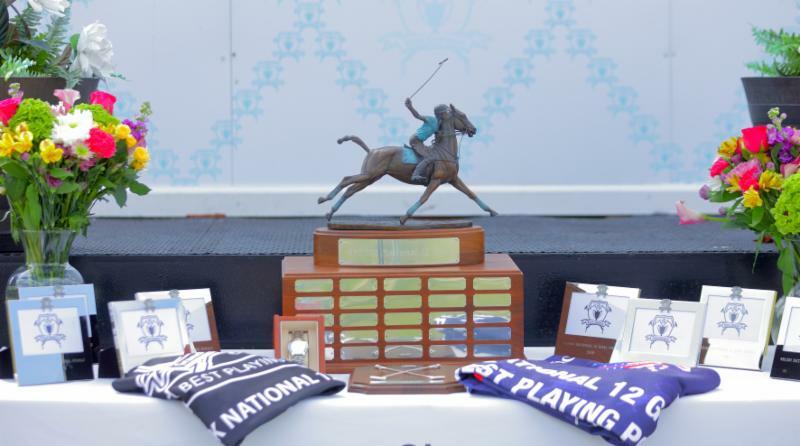 Grand Champions awards table for the National 12-Goal Final. (8 goals, 16 goals, Open) at Grand Champions.